After 13 years of continuous battle, the people’s movements to save the Niyamgiri hills from bauxite mining have won their land and livelihood back from the jaws of extinction. 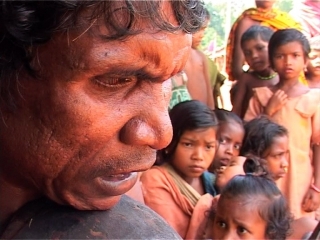 Niyamgiri is one of a series of threatened bauxite capped mountains in Orissa. On August 21st 2010 a review of the Vedanta mining project carried out by the Ministry of the Environment exposed the company’s “total contempt for the law”, having violated a number of environmental regulations, and revealed “an appalling degree of collusion” by local government officials with Vedanta. A few days later Environment Minister Jairam Ramesh called a halt to the project. Two months later the Environment Ministry also rejected Vedanta’s plans for a six fold increase in capacity at the Lanjigarh alumina refinery, the plant at the foot of the Niyamgiri hills which would have been served by the 8 million tons of bauxite mined above. The company were also warned to follow pollution guidelines closely and were reprimanded for starting expansion work without prior permission (1). One month after that (November 2010) Vedanta Chairman and founder Anil Agarwal’s extravagant plans for a $3.2 billion ‘Vedanta University’ in Orissa were also knocked back when the High Court ordered that 6892 acres of beautiful coastal land, including part of the sacred Jagannath temple, had been illegally acquired and should be returned to the ousted inhabitants (2). An incredible victory! The events sparked celebrations across Orissa, and held the state government’s assembly in limbo for several weeks as ministers furiously argued over what had become an iconic battle of tribal people and people’s movements versus a mega corporation. 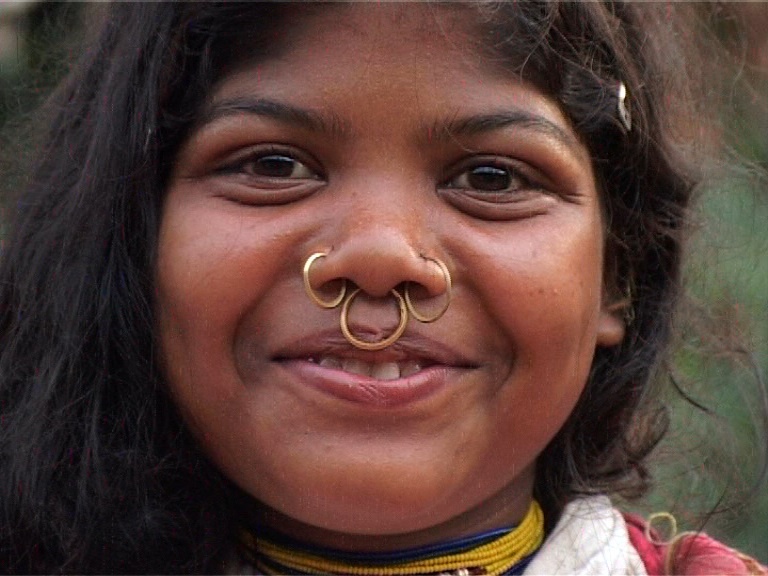 The Niyamgiri story has also been hitting headlines in the West in the past two years, focussing on the involvement of celebrities such as Bianca Jagger and Michael Palin, and the glitsy media campaigns of Action Aid and Survival International. Reading the papers you might think these large NGO’s led the fight against Vedanta. You would not hear that Action Aid accepted donations from Vedanta subsidiary Sterlite in 2003, and has signed MoU’s with Vedanta’s investors, ICICI bank (3), or that NGO professionals in their big jeeps have succeeded in splitting people’s movements in the area, paying particular tribal activists to be the face of their campaigns, and encouraging de-politicisation of the struggle. You would also not hear that the big NGO’s only joined the fight in 2007 and 2008, long after the people’s organisation Niyamgiri Surakshya Parishad (later Samiti) was formed in early Jan of 1998 in a gathering of more than 200 people in Asupada, a village at the foot of the lush green mountains. Nor that the Adivasi’s (tribals) are far from the helpless figures the NGO campaigns portrayed, but have fought tooth and nail for decades to successfully preserve their mountains and way of life from various threats, including logging during the British colonial rule. Sadly, the culture of protest orchestrated by the big NGOs was never intended to stimulate long lasting grassroots activism or to make the existing struggles visible. They were selling their product in India and the West, and by doing this they were actually suppressing the politics and the voice of the real people’s movements. For the grassroots movements in Orissa the fight has been long and hard, with moments of great empowerment and also deep sadness and brutal police repression. After years of chasing away company men who surveyed their land with tools and clipboards, the threat of displacement finally became real for the Khonds when the Orissa government ordered the compulsory acquisition of farmlands around the proposed Lanjigarh refinery in 2003. During the land acquisition process government officials promised that the company would provide jobs to every family who sold their land. In reality very few got jobs or compensation. Instead local people suffer skin lesions, dust pollution, deaths from lorry accidents on the new road, TB and contaminated crops. One family who’s farm is just outside the refinery wall have begged the company to buy them out so they can leave their contaminated land and move somewhere safer, but Vedanta have refused. Later that year the chimney of a BALCO refinery being built in the neighbouring state of Chhattisgarh collapsed killing 57 workers, a stark reminder of the unsafe conditions for aluminium workers in India. 2003 also saw the illegal arrest and detainment of Lingaraj Azad, state president of the political party Samajvadi Jan Parishad (Socialist People’s Council) and also convenor of Niyamgiri Surakshya Samiti (Council for the Preservation of Niyamgiri) who was jailed for 100 days on two occasions. In 2004 a rally of a thousand tribals protesting forceful evictions was violently broken up by police who ‘lathi-charged’ the crowd, striking them with long thin sticks that break the skin, and injuring women and men alike. Thirteen activists were arrested on invalid charges. 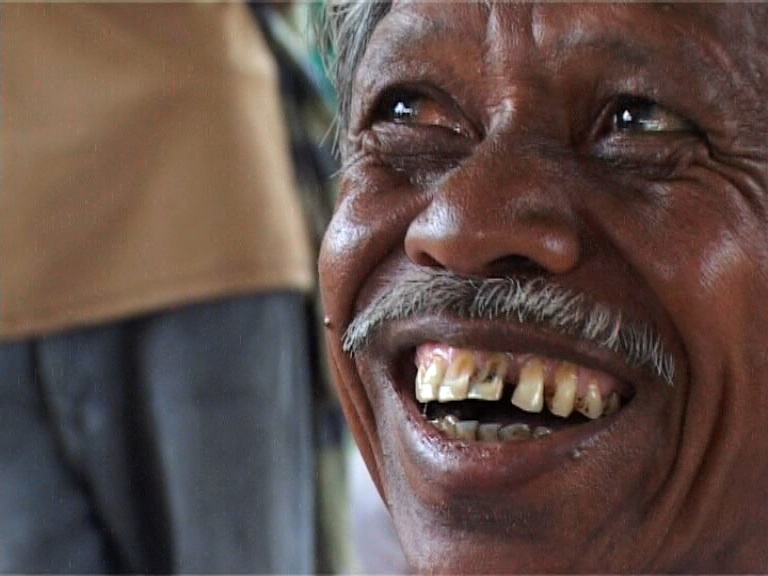 On 23rd March 2005 the first state-sponsored murder took place when local activist Sukru Majhi was killed. This would be followed in 2010 by the murder of Arsi Majhi. 2000 had also seen police open fire on a meeting of tribals regarding another Orissa alumina refinery owned by Utkal in Maikanch village, killing three and wounding seven (4). In 2007 the Norwegian Government’s pension fund pulled its $13 million of shares in Vedanta as it believed its involvement could result in “an unacceptable risk of contributing to grossly unethical activities”, and in 2010 the Bank of England similarly dis-invested from the company on human and environmental grounds after UK authorities in India upheld allegations of illegal and unethical activity against tribal people. Blockades of the Lanjigarh refinery by women and children in particular were a regular occurrence during the long struggle. One of the most symbolic protests took place in January 2009 when 10,000 mostly tribal people encircled the Niyamgiri hills in a 17km long human chain, vowing to protect its sacred ecology and its ancient inhabitants. A week earlier 7000 protesters had marched to the gates of the aluminium refinery saying ‘Vedanta Hatao!’ (Remove Vedanta! ), demanding that the company leave the area (5). Here in the UK, where the company is registered (despite violating a number of British company laws), the campaign came to a head at the 2010 Vedanta AGM, which was dominated by the Niyamgiri issue for the fifth year running. 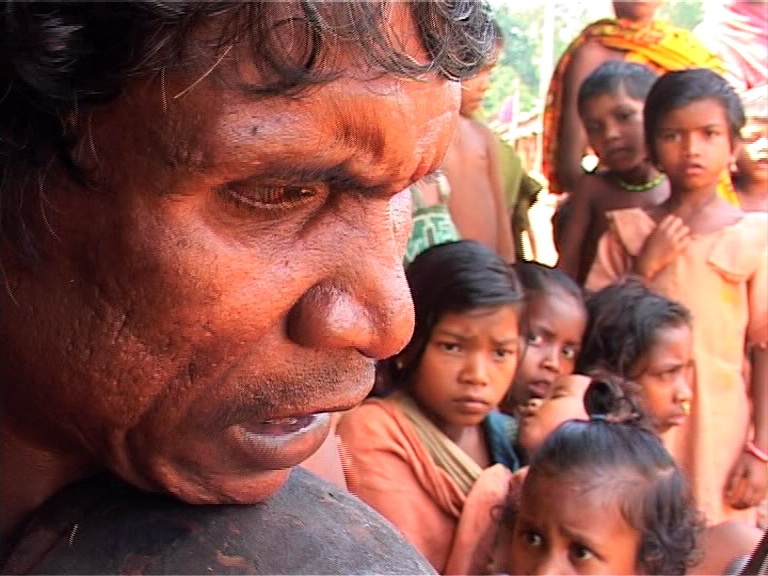 A Guardian article entitled ‘Vedanta’s very embarrassing silence’ reported how during the meeting our friend Orissa activist and film-maker Samarendra Das challenged the Lanjigargh refinery’s manager Mukesh Kumar’s claims that the mountain was not sacred to the affected Dongria Khond tribe. Testing his knowledge he demanded that Mr Kumar give the Dongria’s name for their holy Niyamgiri mountain, which he could not (6). The presence of paid protesters from Survival and Action Aid was minimal at the 2010 AGM, whereas they had dominated the previous years meeting, showing the volatility of NGO support and commitment. They may have believed the fight was over as the company appeared on the brink of bringing in the bulldozers and showed no signs of stopping. Evidence agrees with Salu. Out of half a million Indians displaced by mining in the last 10 years in just four states, 92% are much worse off, even if they receive the paltry compensation offered by companies. So where is Vedanta now? According to the Sunday Times Rich list the company founder and chairman Anil Agarwal is still tenth richest man in UK with wealth growth of a record 583% after the financial crisis. He remains very well connected in London, yet somehow manages to be invisible in the media, despite being an almost despotic character with a rags to riches story and a childish temper when he doesn’t get his way. Using his connections he has managed to rapidly diversify the business of the company, teaming up with the Scottish oil company Cairn Energy to exploit the controversial oil fields around Greenland. Two of Vedanta’s board members also serve on the board of Cairn India and one (Naresh Chandra) is also on the advisory board of BAE, not unusual for aluminium companies due to the direct link between aluminium production and arms manufacture (8). In Iceland all smelter construction ground to a halt following the economic crisis, and Alcoa’s plans for a mega smelter in Husavik, North Iceland, may have fallen through all together thanks to the determination of Saving Iceland and others to reveal the true costs of the dams and geothermal plants needed to power the project. In Greenland public opinion in favour of Alcoa’s enormous planned smelter plummeted after activists from Avataq sought international help to educate local people and politicians on the history of the aluminium industry and the clear lessons for communities dependent on an aluminium economy. The Greenland smelter now looks a lot less certain than it has long appeared. On top of the massive turn around of aluminium industrialisation in Orissa these victories are enormous. Most importantly they all demonstrate the power of people’s movements to stop corporations in their tracks. Though we may sometimes doubt it, our grassroots actions to understand, expose and resist projects which we know will not benefit people or planet, are powerful, and they work. Davids continue to bring down Goliath’s… in fact they are the only thing that ever will. The cancelling of Vedanta’s Niyamgiri project also occurred just after the publishing of Samarendra Das’ and Felix Padel’s seminal book on the fight and the global aluminium industry ‘Out of This Earth: East India Adivasis and the Aluminium Cartel‘, which was in the Indian best seller list and was read by the Home Secretary of India. For an in depth analysis of the aluminium industry and the struggle in India the book is highly recommended. (1) Govt says no to Vedanta’s $8.5 bn expansion plan, NDTV Correpsondent, October 21, 2010 (New Dehli). (3) Das, Samarendra and Padel, Felix 2010 ‘Out of This Earth: East India Adivasis and the Aluminium Cartel‘. Orient Blackswan, Delhi. (9) Richardson Dhalai, September 27th. ‘Rowley slams Govt’s decision to scrap smelter‘, Newsday. Very good piece but I must point out that the Dongria Kondhs are far from victory. The ores embedded in Niyamgiri – and scores of other such mountains – are too valuable to be left alone merely to preserve the lives of a few thousand (or a few hundred thousand/ few million) people. Vedanta bosses have already approached India’s Environment minister, Jairam Ramesh, who has advised them to make a fresh application for expansion of refinery capacity and for mining Niyamgiri.